Your savarin looks terrific Jill – I am loving all those gorgeous strawberries. They look great, such lovely strawberries. I used a rosewater syrup and it worked well as a dinner party dessert. Love the look of it with all those lovely strawberries. Great job!! Glad you liked it! I liked it too. And am looking forward to trying the babas. They look great, I love the sound of the strawberries and Grand Marnier. It looks perfect. Desserts that showcase fresh fruit are always a winner in my book. Looks lovely. I used an orange flavoring too. It added wonderful flavor. Glad to hear you liked this cake. I was much less successful. Looking forward to the next recipe though! What a wonderful dessert! Serving it with any kind of fruit would be delicious. Sounds like your French accent rivals mine! Your post was so funny! And your savarin looks perfect. I usually don’t like things soaked with syrup, but I think I want to try making this after reading your description. Great post and a beautiful cake! 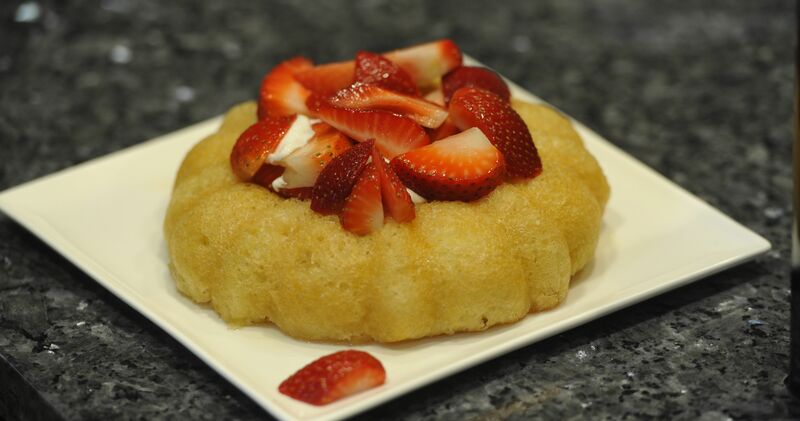 Grand Marnier and Strawberry for this wonderful Savarin. Well done!